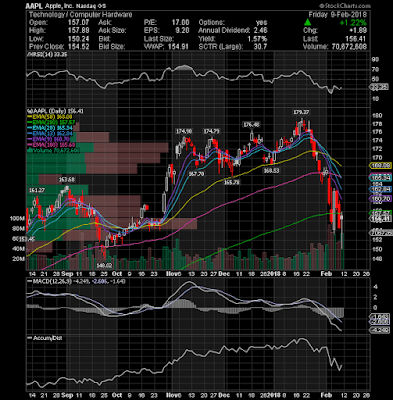 Apple Inc. (NASDAQ:AAPL) printed an impressive bullish reversal candle on the daily Chart yesterday after a decent rally into the close, but bulls failed to close above the 200-day EMA. If the Stock can break Friday's high, I think we will rally back to the $165 level. 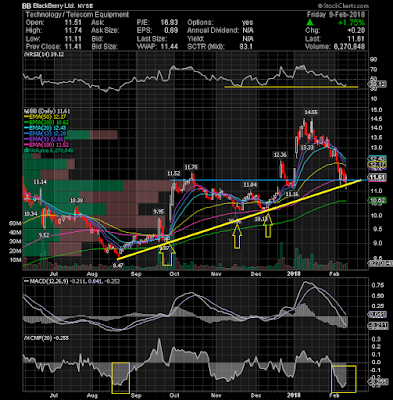 BlackBerry Ltd (NYSE:BB) bounced sharply up again from its major support zone (uptrend line) on the daily time frame. The support zone mentioned above has shown that there was a buying pressure, which has pushed the price higher and once again the stock closed above the rising 100-day EMA. The recent history of this stock suggests that investors can reasonably look for a rally to new highs if the price regains the 100-day EMA and holds above it (yellow arrows). 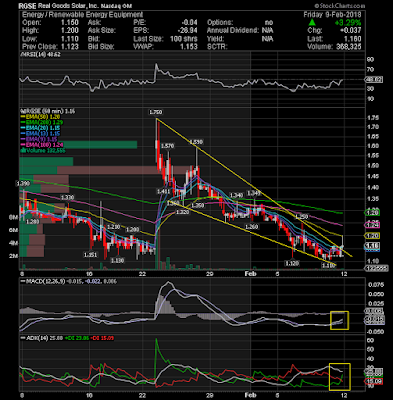 Plus, momentum indicators are curling up and the RSI will likely cross higher over the next few days. Will watch the stock closely next week. 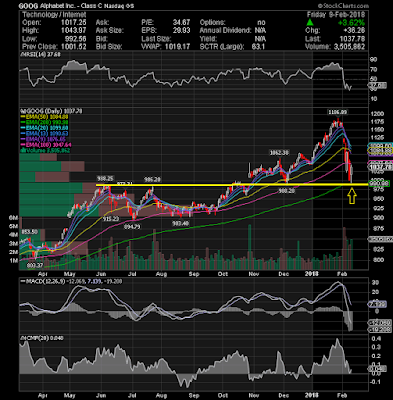 Alphabet Inc (NASDAQ:GOOG) also bounced strongly from its key support line around 990 Friday on volume, recouping some of the deep losses of the previous day. This zone of support has held price higher in the past, so we may see history repeat itself here. If it holds support at or above 1000 then initial upside objective is 1078, followed by 1115 next pivot zone. 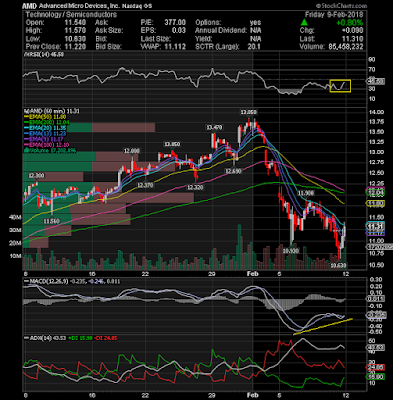 Riot Blockchain Inc (NASDAQ:RIOT) Coiling up here under its 20-day EMA. Looking for movements above 16.41. Congrats to those that took full advantage of my alert on Inpixon (NASDAQ:INPX) on Thursday afternoon at $3. There was nearly 70% potential gains delivered on the back of 7.2M shares traded. 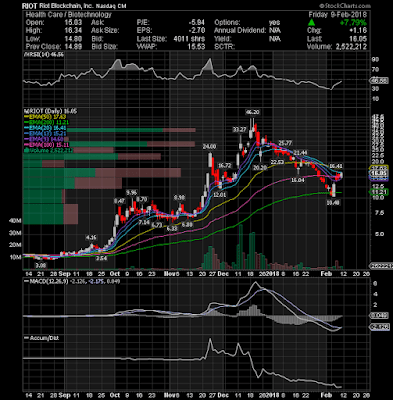 Real Goods Solar, Inc. (NASDAQ:RGSE) is also a small float stock that i like for big bounces. 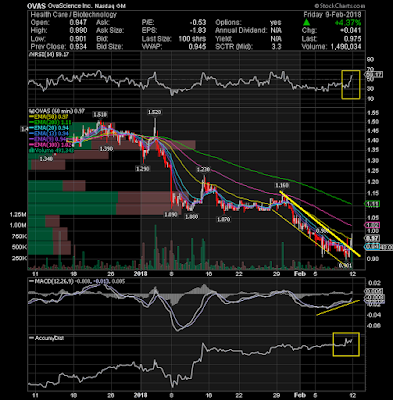 Looking at the chart above, the stock seems to have broken out of the falling wedge pattern with good volume, usually a very signal. The story of another big bounce is picking up steam and getting more attention again. Definitely on watch next week. Clean Diesel Technologies, Inc. (NASDAQ:CDTI) has a very interesting daily technical chart and could have a bigger move very soon. The break of the immediate resistance of 1.36 with heavy volume should be the next buy point. If it clears resistance the move may be powerful. Im long. 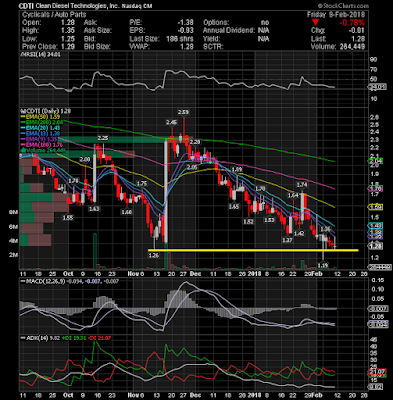 Advanced Micro Devices, Inc. (NASDAQ:AMD) was also added to my watchlist as a possible bottom bounce-play. 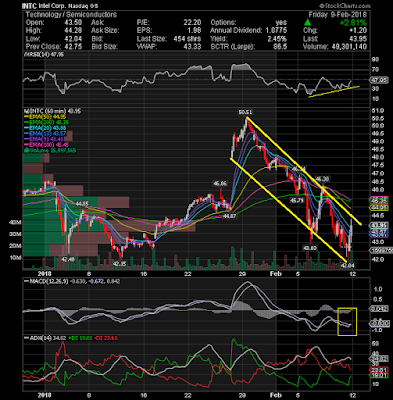 The hourly technical chart is displaying positive divergences on momentum indicators and with the stock in oversold territory, these are the perfect conditions for a short-term rally. On watch. Intel Corporation (NASDAQ:INTC) reversed the declines on Friday and closed back above the 20-hourly exponential moving average and momentum is increasing. Short-term bottom seems to have been confirmed as we had strong volume that spiked on the reversal. If it breaks this descending channel next week, it could resume the uptrend.